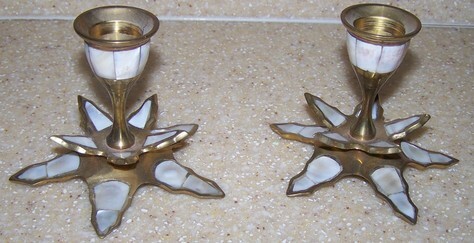 Here are a pair of candle holders. They are unique with the brass and the Mother of Pearl accents. They go with almost any décor.